A truly magnificent 4-bedroom luxurious Mansion located in a cul-de-sac surrounded by a large and well-maintained landscaped garden enjoying panoramic views of Monchique and surrounding countryside. 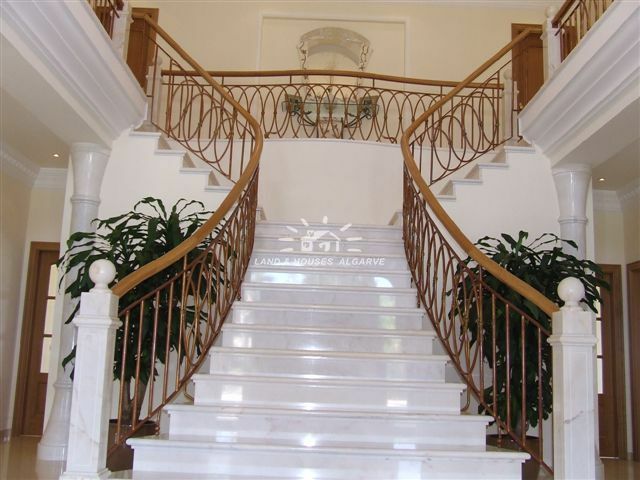 The majestic entrance drive gives you full view of this exclusive property. 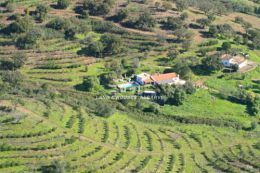 The main house has an impressive entrance hall with galleried landing, beautiful Estremoz marble staircase and fine wrought-iron banisters, guest toilet and cloakroom. Beautiful spacious lounge with Estremoz marble stone fire place, split level sitting area and tall bay windows. Dining room with Estremoz marble wood burner stove with great views of the swimming pool and BBQ house. 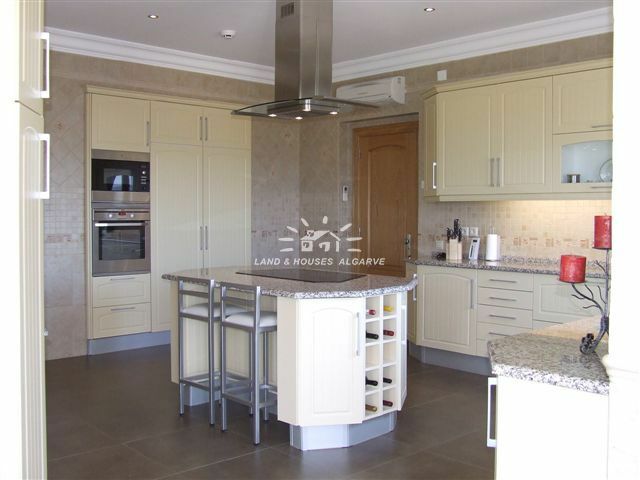 State of the art country style fully fitted and equipped kitchen, breakfast area, utility and storage room. Ground floor office room with en-suite bathroom. First floor with four double bedrooms all have en-suite bathrooms, dressing rooms and balconies. Basement with space to create games/gymnasium room. Large double garage with remote controlled doors and storage area. Separate guest annex with living area, bedroom with en-suite and fully fitted kitchen. 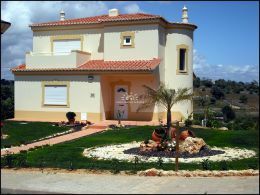 Several covered terraces, BBQ area with cupboards and sink + drinks bar and a large salt-water swimming pool (10x5m) + cover. Underneath the pool is a large service area with bathroom, shower and toilet. Double glazed windows plus security glass. Electric blinds and air conditioning throughout. Under floor heating everywhere. All rooms have connections for Internet and TV. Front electric entrance gate with video entry system. The garden is professionally landscaped with many Palms & tropical bushes & trees and is completely walled and fenced in. Full irrigation system serviced from private bore hole and cistern (35000 lt). Mains water and electricity. Good access by main roads. A truly magnificent property! Energy certificate class A.